Ethereum got the attention of the world recently as an investigation made by ORS Labs has proved that 5% of the ETH supply was moved in a day in December 2018. Using its newest software, a multi-blockchain AI-powered analytics for the crypto market called CryptoHound, ORS Labs was able to determine that a twentieth of all the ETH supply was moved on December 1, 2018. Around $500 million USD worth of ETH was moved in this single day on six wallets. The software was being used, according to the company that developed it, to see the top 1000 ETH transactions and they discovered this interesting fact. Another interesting fact discovered at the same day is that all the wallets had over 90% of their savings being OMG tokens, which accounted for 0.28% of all the supply of OMG in circulation now. Most of these wallets were created in similar dates, too. Three of them on August 20, 2016, and the other ones on June 14, 2017. The team started to get interested in these wallets and followed the money. The foundings were very interesting. More than this six wallets, there were 313 wallets involved in all the transactions and the money eventually landed in 39 different wallets. Each of these final 39 wallets holds at least 150,000 ETH each. This can lead us to many interesting conclusions and speculations. For instance, these could be the wallets of people who advise for OMG and want to disassociate their ETH holdings from their OMG holdings. It could be even Vitalik Buterin’s wallets, as he holds a massive amount of ETH and OMG alike. One point that can definetely be made is that it looks like the Ethereum network is far less decentralized that it intends to be and that large whales are controlling a very large share of the money. Ethereum was on the spotlight for several reasons recently. The company was planning the launch of its Constantinople hard fork for January, but it had to move it to February in order to address some potentially dangerous bugs, which was possibly the worst moment for the token in 2019 so far. Last year, Ethereum’s biggest enemy was the bear market. 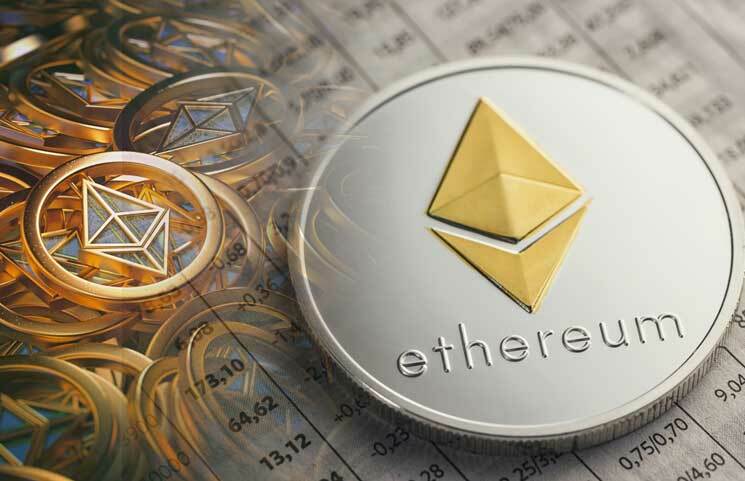 While the market was decidedly cruel with all the tokens from the market, Ethereum was one of the tokens that suffered the most as Initial Coin Offerings (ICOs), which were the big use case for ETH, started to decline during the year as the investors got burned by the bear market. The network saw its prices go from the all-time high of $1419 USD to mere $80 USD last year, a record loss of 94% which made ETH lose its place to Ripple as the second largest token in the market.